The Twilight Garden began in 2008 as a solo project by Todd Loomis while still a member in the electro industrial act Velvet Acid Christ (member from 2005-2009). 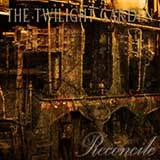 In early 2010, The Twilight Gardens debut album entitled "a world we pretend" was released on Projekt Records. It received mainly good reviews and opened doors for The Twilight Garden with DJ support and club play. Drummer Chris Kutz and keyboardist/bassist Patrick Hogan teamed up with Todd Loomis to form a live band and in the summer of 2010, they did a short tour as part of an invitation to play the Projektfest 2010. In early 2011, Todd began working on the songs for what would become the 2nd full length album for The Twilight Garden. The new album would ultimately take over a year to complete. During that time, The Twilight Garden left Projekt Records and signed with Metropolis Records for the release of the 2nd album. 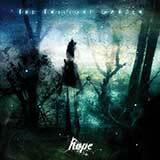 The new album (titled "Hope") is now complete and is scheduled to be released in November of 2012. Todd Loomis is the founding member of The Twilight Garden - although in the past, he has been the primary song writer, lyricist, vocalist, and guitarist in several different bands including The Trucelent, Spiderhead, Removed, and The Farthest Shore. He also played guitar and wrote extensively on keyboard for the Denver , Colorado , USA based act Decanonized. During his time with Decanonized, Todd attended and graduated from the University of Colorado at Denver with a Bachelor of Music, emphasizing in music engineering. While at the university, he studied music history, theory, composition, and piano performance  all in addition to his main focus, music engineering. In 2005, Todd met and began working with Bryan Erickson of Velvet Acid Christ. He was a member from 2005 through the end of 2009, having worked on the following material: 1) remix on the reissue of "Calling of the Dead" - VAC LP, 2) "Lust for Blood" - VAC LP, 3) "wound single" from the VAC LP - (figurehead cover), 4) VAC remix for Emily Autumn's "dead is the new alive", 5) VAC remix for Brain Leisure's "resistance", 6) VAC remix for Darker Days Tomorrow's "zeitgeist", 7) VAC remix for Mortiis's "gibber", 8) Last "Toxic Coma" LP (VAC side project), 9) "The Art of Breaking Apart" - VAC LP, 10) "Caustic Disco" single from the VAC LP.